The word ruby comes from the Latin word ruber., meaning red. 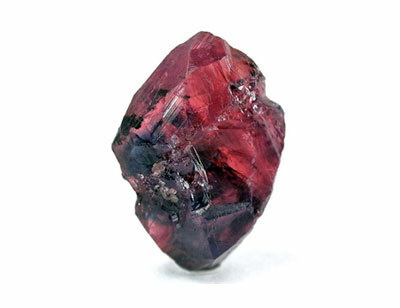 The Ruby is a variety of the mineral corundum or aluminum oxide. Another variety of the corundum is the sapphire. 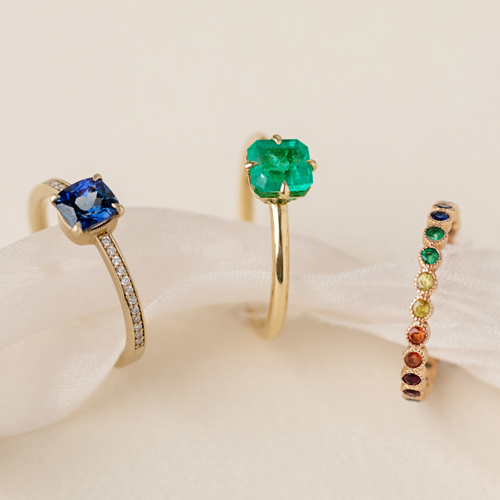 The difference between the ruby and the sapphire is the larger presence of chromium, which gives the ruby its pink to blood-red color. A corundum must meet a minimum color saturation to be called a ruby, otherwise it is a pink sapphire. Rubies are now found all over the world, however the Mogok Valley in Upper Myanmar, also known as Burma, have produced the finest rubies and has been the world's source of rubies for centuries. In Asian countries, rubies were laid beneath the foundation of buildings to secure good fortune to the structure and were used to ornament armor and scabbards. It is said that the wearer of a ruby can walk through life without fear of evil and it is the stone of love, energy and passion.